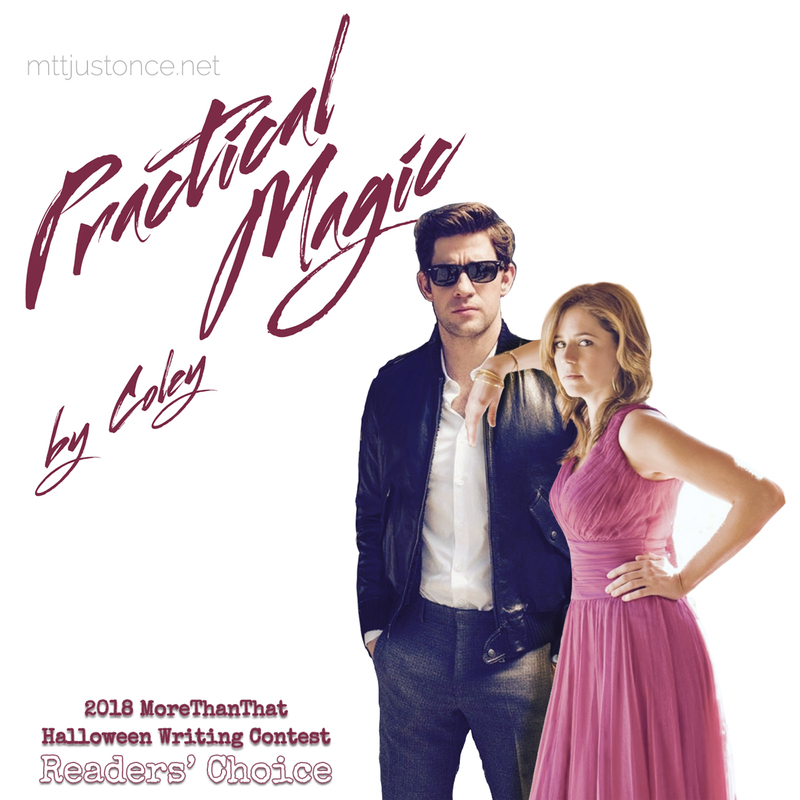 Thanks everyone for your participation in the 2018 Halloween Writing Contest! We had eight great entries and lots of great response from readers and now after much delay here are the winners! And last but certainly not least, for her chilling tale of Jim coming home only to find everything's changed, nqllisi gets the “Legit Spooky” Award. 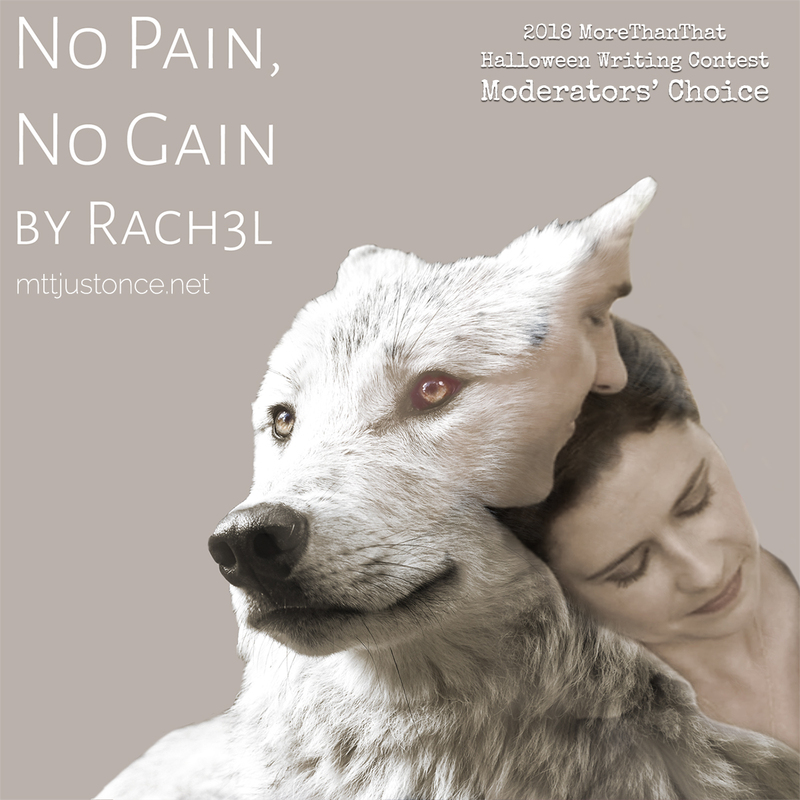 This truly was a tough choice with so many great entries that we couldn't settle on just two, so we made the decision to have a runner-up in both the Readers and Mods choice. These two runner-ups will have a choice of a unique Office pin OR a JAM fanart print. 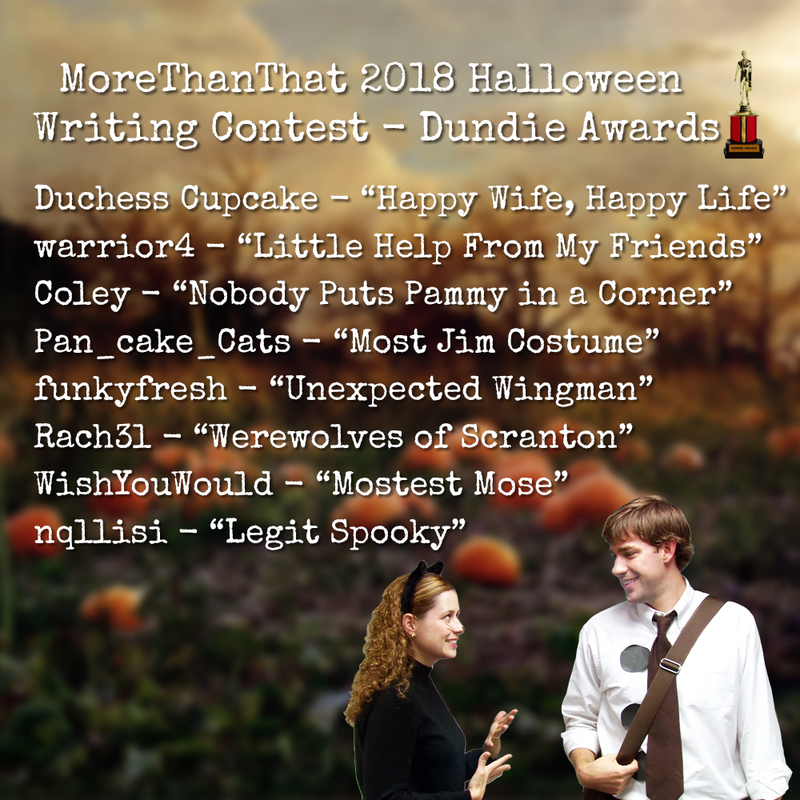 The Readers' Choice runner-up is - Duchess Cupcake for "Life's No Fun Without a Good Scare"
And the Mods' Choice runner-up is - warror4 for "Costumes"
And now the grand winners! The Halloween Writing Contest Readers' Choice is Coley - "Practical Magic"
Thank you once again for everyone's entries, we hope you enjoyed the contest! We will be in touch with the winners via email for prize selection and with all writers for their participation prize choices.